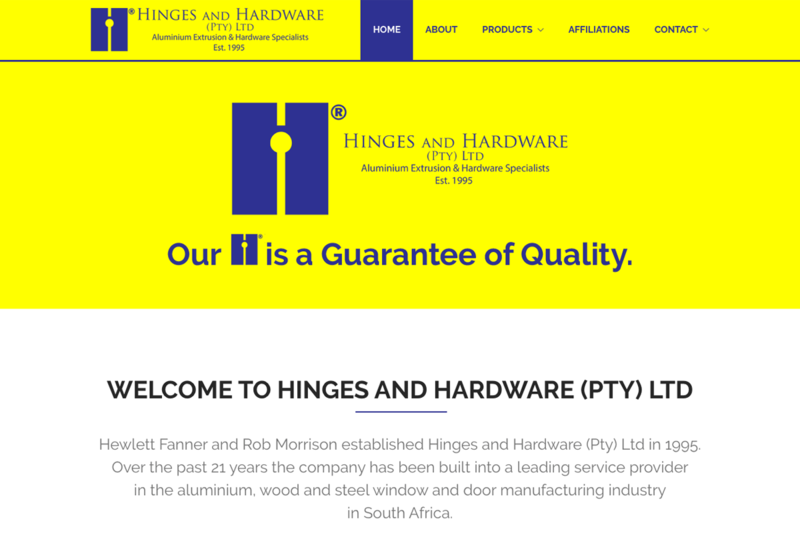 Hinges and Hardware (Pty) Ltd are aluminium extrusion and hardware specialists that have been a leading service provider in the aluminium, wood and steel window and door manufacturing industry in South Africa since 1995. This website is clean, precise and professional. It looks great and feels right at home on a smart phone or tablet just as it does on a laptop or desktop PC. The responsive design ensures the information you need is always at hand no matter what device you are using to access the website. Users can navigate to any product on the website in just two clicks simply by choosing a category and then a sub-category.